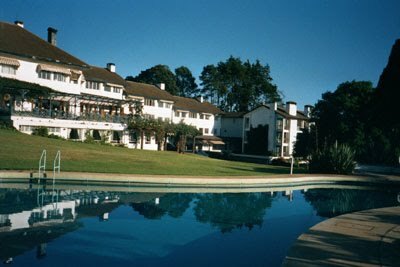 The Windsor Golf and Country Club is located about seventeen (17) kilometers from Nairobi in an area of about 200 acres. The club's 18-hole championship golf course boasts of international standard with beautifully landscaped sand bunkers. You can have a visual tour of Windsor Golf Resort and Country Lodge below. Situated 190 kilometres north of Nairobi, on the slopes of Mt Kenya,Mount Kenya Safari club offers many recreational facilities including horseback riding, golf, table tennis and swimming. 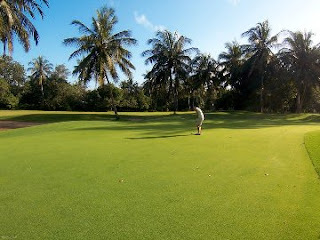 Leisure Golf Club is the only golf course on Kenya's south coast, on Diani Beach. Featuring 18 holes it is one of the most challenging courses in Kenya. The course features American style bunkers. The Great Rift Valley Lodge and Golf Resort borrows its name from the stunning land it sits on.Voted the Leading Golf Resort in Kenya at the World Travel Awards 2010 in Johannesburg. Like most golf courses in Kenya, wildlife has the right of way on this 18th hole golf course. You can book a golfing safari package by filling our contact form.This package will include accommodation, airport transfer in Nairobi and Mombasa. We are fully Lincesed by the Kenya Ministry of Tourism and Wildlife, this obligates us to observe strict code of conduct designed to ensure that members trade honestly and professionally at all times. We have our own fleet of vehicles which means our clients get cheaper rates.We have negotiated with hotels, tented camps and lodges in Kenya safari and Tanzania to offer you the best rates.